This is early September morning. 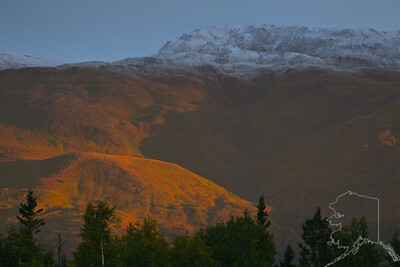 The first light of the day lights up the sky then touches the mountains. This is the morning of August 3, 2013. I am on my way to work and it is 5:30 am Alaska time. The sun is still about an hour away from coming up. Has to do with living on top of the earth and the curvature of the earth. 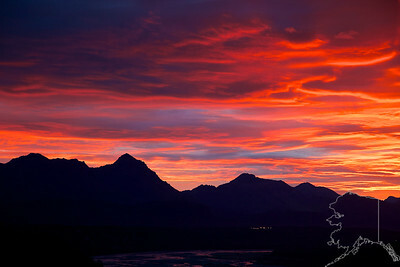 This is looking north, northeast up the Matanuska Valley. The lights that are in a row at the left of the image is the state prison were I work. This is the morning of August 6, 2013. 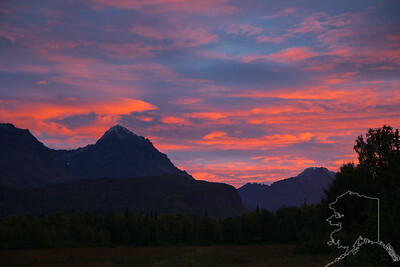 I am on my way to work and it is 5:30 am Alaska time. The sun is still about an hour away from coming up. Has to do with living on top of the earth and the curvature of the earth. 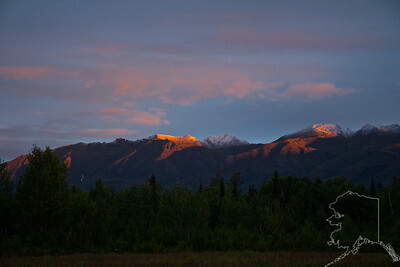 This is looking north, northeast up the Matanuska Valley. The lights that are in a row at the left of the image is the state prison were I work. This is the morning of August 6, 2013. 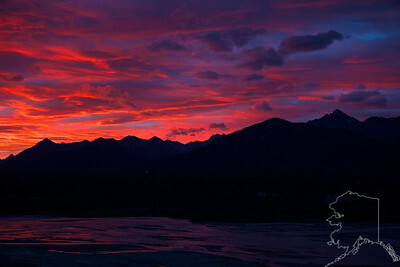 I am on my way to work and it is 5:30 am Alaska time. The sun is still about an hour away from coming up. Has to do with living on top of the earth and the curvature of the earth. 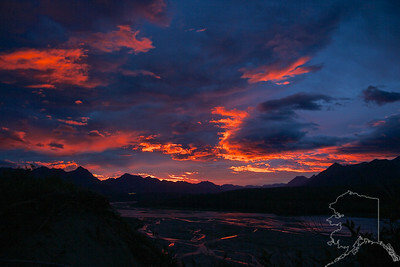 This is looking north, northeast up the Matanuska Valley. 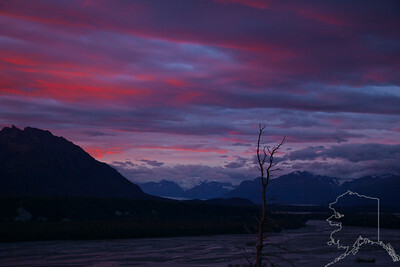 I like how the glow from the clouds is reflected off the Matanuska River. This is the morning of August 6, 2013. I am on my way to work and it is 5:30 am Alaska time. The sun is still about an hour away from coming up. Has to do with living on top of the earth and the curvature of the earth. 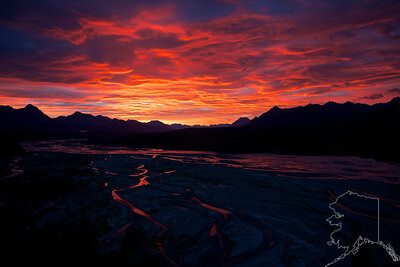 This is looking east across the Matanuska Valley and river. 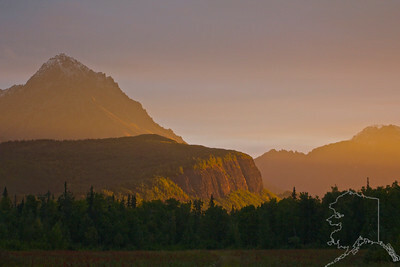 The dark up front mountain to the right of the image is Lazy mountain. This is the morning of August 6, 2013. 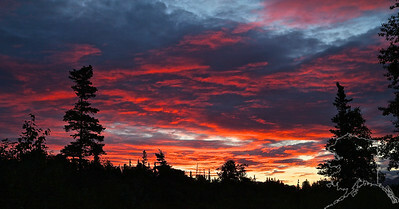 I am on my way to work and it is 5:30 am Alaska time. The sun is still about an hour away from coming up. Has to do with living on top of the earth and the curvature of the earth. 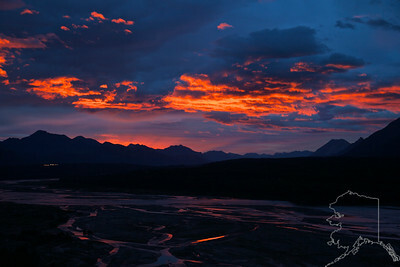 This is looking north, northeast up the Matanuska Valley. As the sun moves more to the right or south of the image it also comes up a little. So the clouds get a little brighter. This is the morning of August 6, 2013. I am on my way to work and it is 5:30 am Alaska time. The sun is still about an hour away from coming up. Has to do with living on top of the earth and the curvature of the earth. 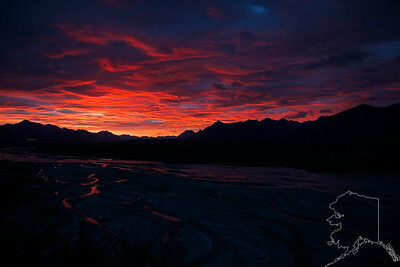 This is looking north, northeast up the Matanuska Valley. 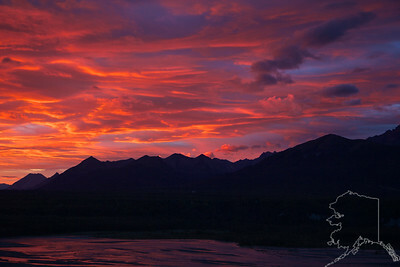 This is the Matanuska River and with the glow from the clouds now getting more intense it makes the river look like lava flowing. This is the morning of August 6, 2013. I am on my way to work and it is 5:30 am Alaska time. The sun is still about an hour away from coming up. Has to do with living on top of the earth and the curvature of the earth. 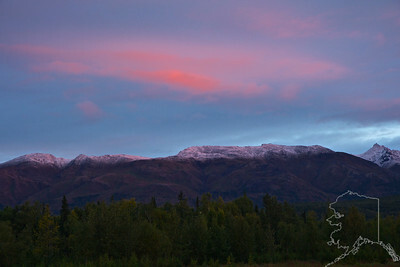 This is looking north, northeast up the Matanuska Valley. The lights that are in a row at the right and bottom of the image is the state prison were I work. This is the morning of August 6, 2013. I am on my way to work and it is 5:30 am Alaska time. The sun is still about an hour away from coming up. Has to do with living on top of the earth and the curvature of the earth. 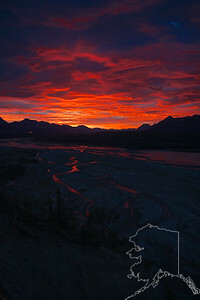 This is looking east, southeast down the Matanuska Valley. At bottom center you can just see the Knik Glacier. This is the morning of August 6, 2013. 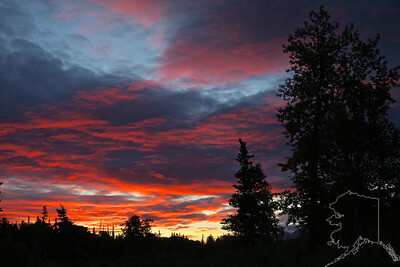 I am on my way to work and it is 5:30 am Alaska time. The sun is still about an hour away from coming up. Has to do with living on top of the earth and the curvature of the earth. 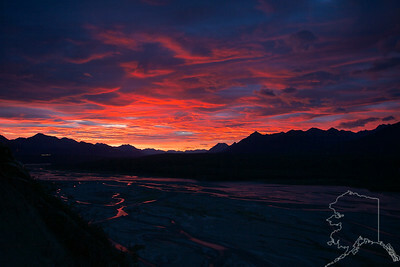 This is looking north, northeast up the Matanuska Valley. The mountain to the far left of the image is King Mountain. It has the steep sloping sides and flat top. 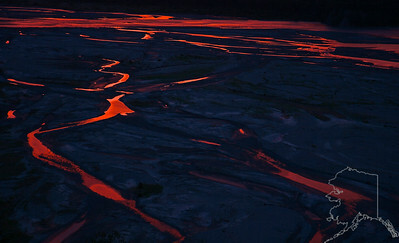 Looks like a volcano but it is not.